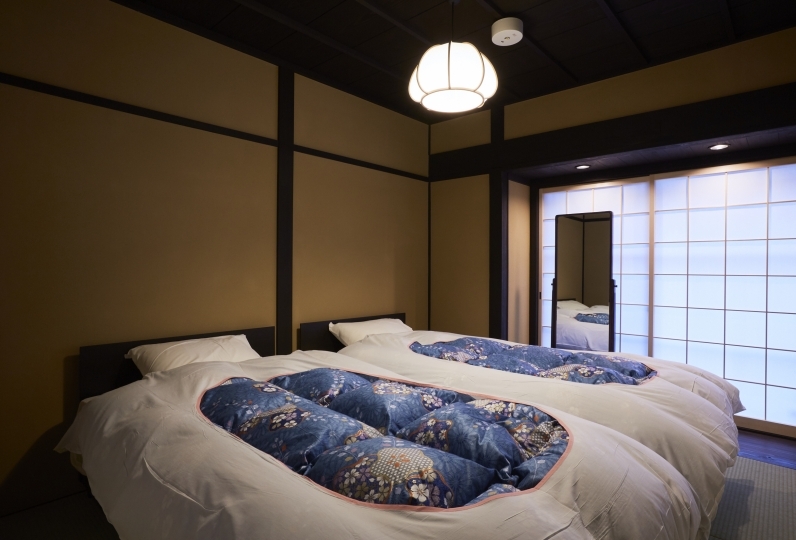 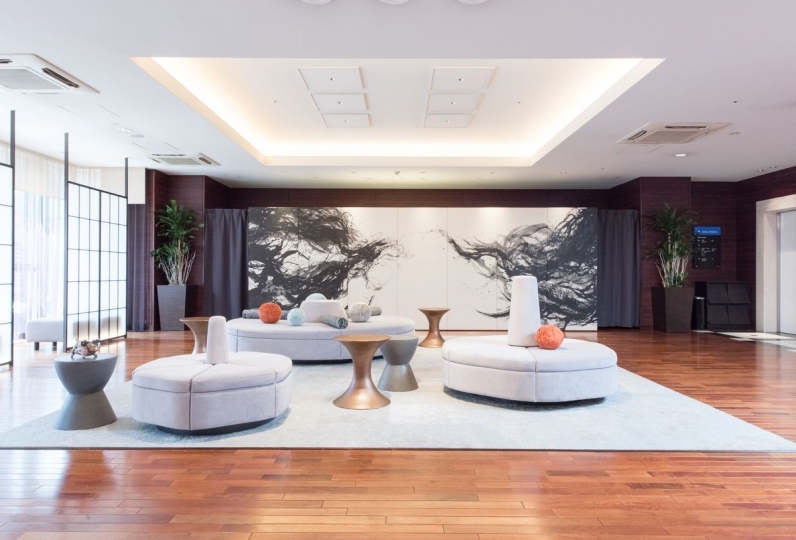 This is a hotel where you can meet the real Japan. 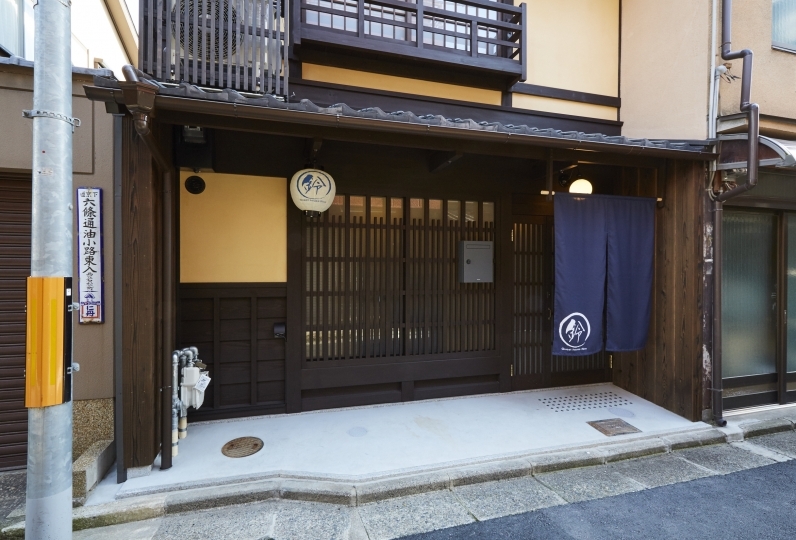 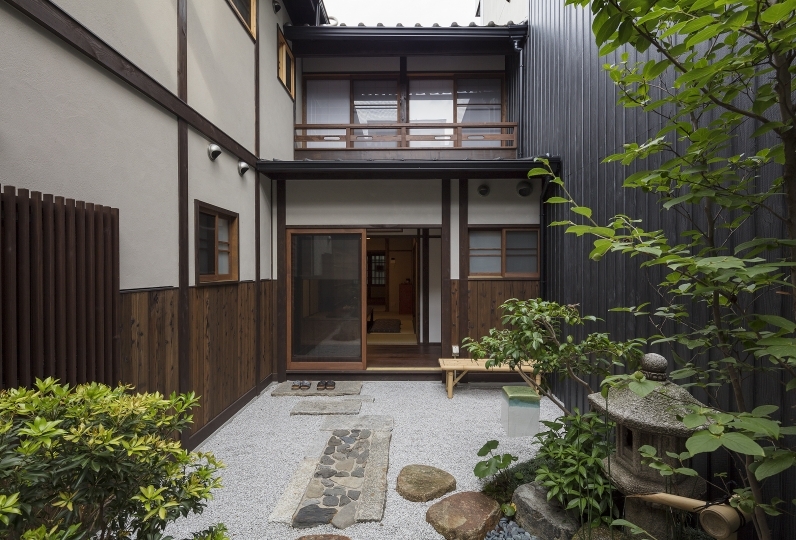 Why not experience a life of a Kyoto townhouse? 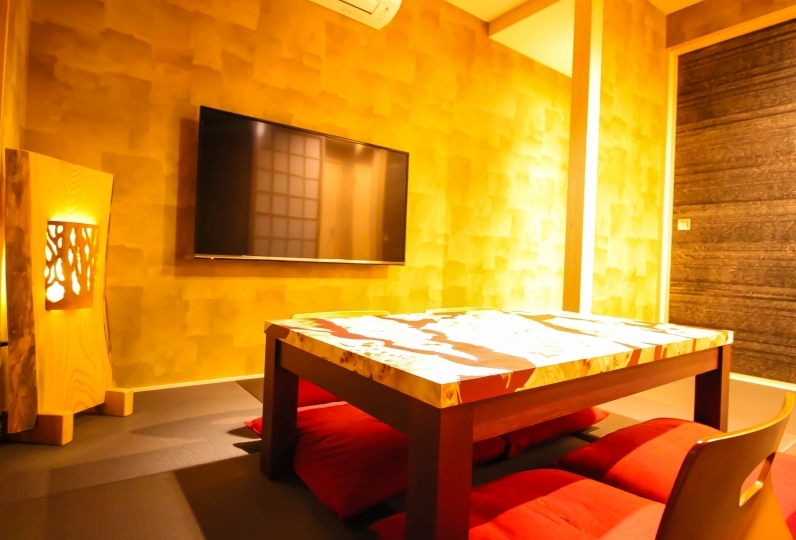 Because this facility is limited to only a group per day, please book early. 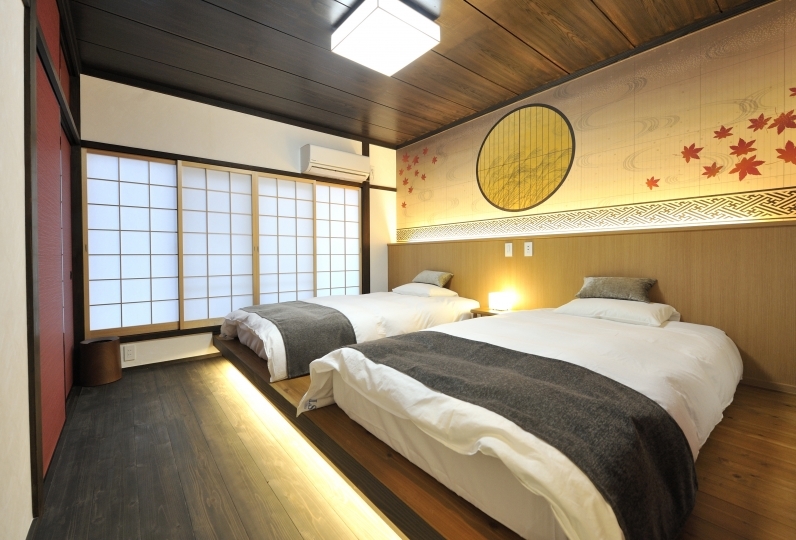 This hotel has easy access to major sight seeing spots from the nearby bus stop, and is great for both leisure and business. 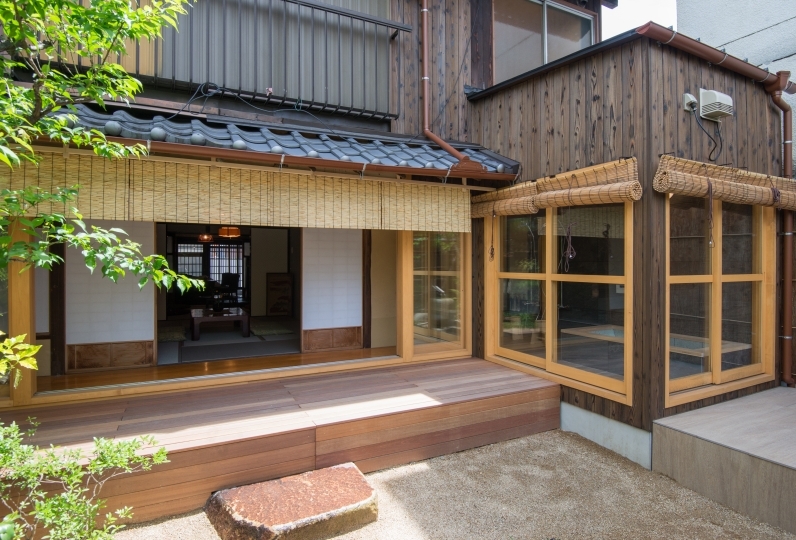 Built more than 100 years ago, this town house was rebuilt with the traditional construction method by the hands of artisans whom know thoroughly the making of townhouses. 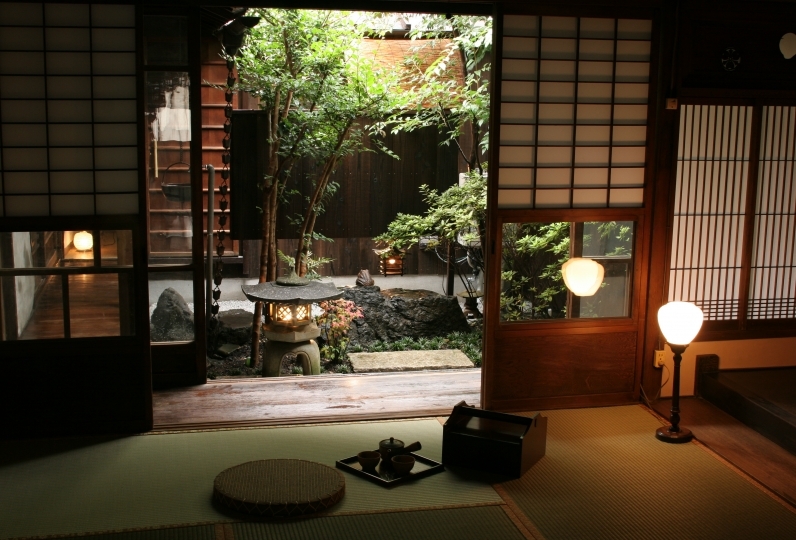 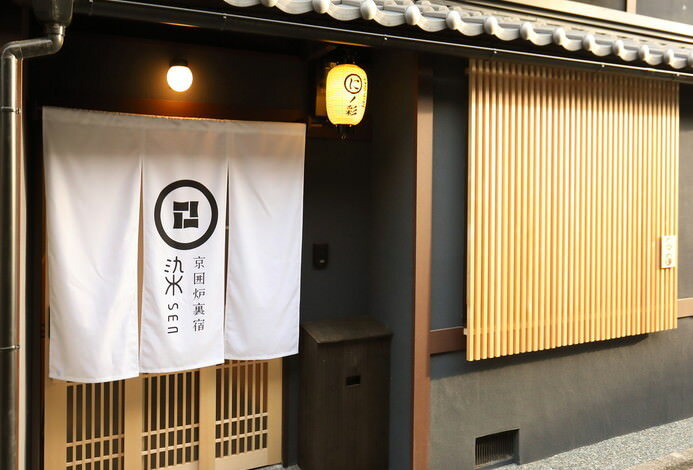 You may relax and taste the life of Kyoto. 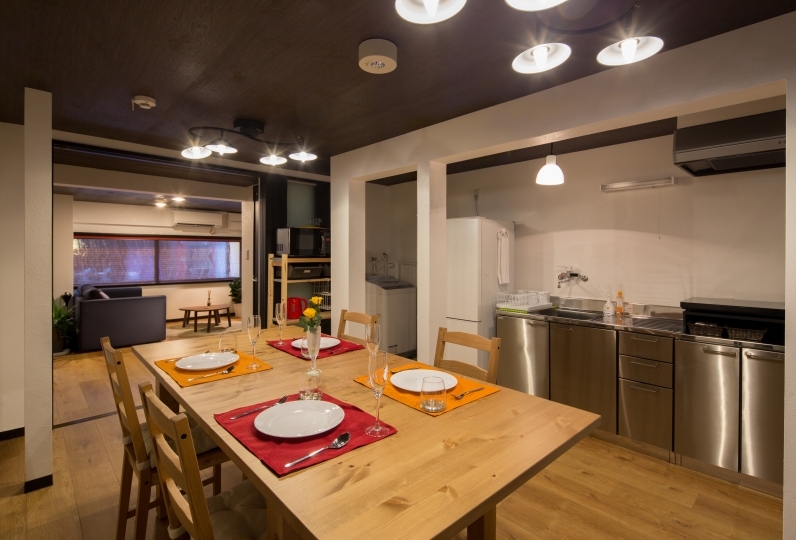 The kitchen is facilitated with an IH oven and a microwave as well as tableware, making cooking easy. 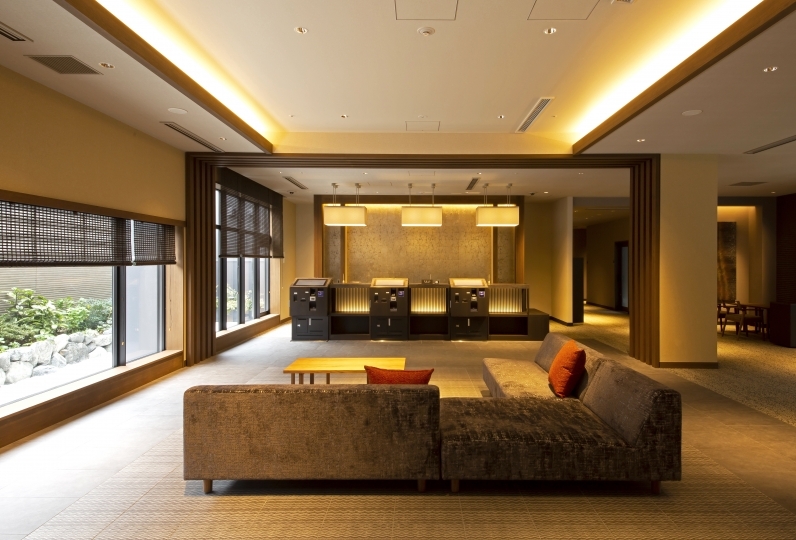 There is also a washing machine and a vacuum cleaner, removing your worries of long stays and making your stay comfortable. 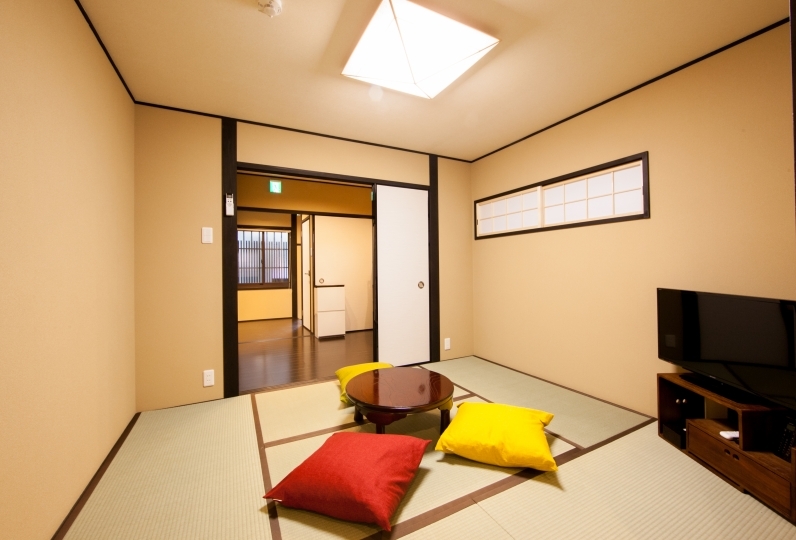 Please enjoy the life of a townhouse in Kyoto.